With innovative design and robust construction to fulfill the most demanding requirements, Pfannenberg PATROL & PYRA Visual and Audible Signaling Devices are the best choice for industrial safety. Pfannenberg PATROL & PYRA Industrial alarms meet the requirements of IP rating protection as well as having an impact-proof housing. In addition, the base connection terminals, undetachable seals and quick locking elements greatly facilitate easy mounting. • Captive fasteners: installation and assembly are simplified and screws cannot get lost. • Optional tamper-proof fastener plugs protect the unit from alterations. • Sound capsule technology delivers more low frequency punch than piezoelectric elements for superior sound penetration through walls, doors, and other obstructions. • NEMA type 4/4X and IP 66 rating withstands exposure to dust, liquids, water spray, and corrosives. • –40 to +55 °C temperature range. • UL, cUL, CE, VdS, GL, EN 54-3. Quick, easy, and safe installation. Saves time and reduces costs. Potential errors are eliminated and incorrect assembly is not possible. 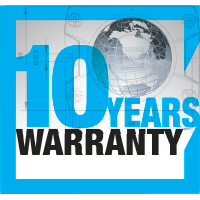 Pfannenberg industrial alarms with visual and audible notifications come with a standard 10-Year Warranty, guaranteed in protecting man, machine, and the environment. 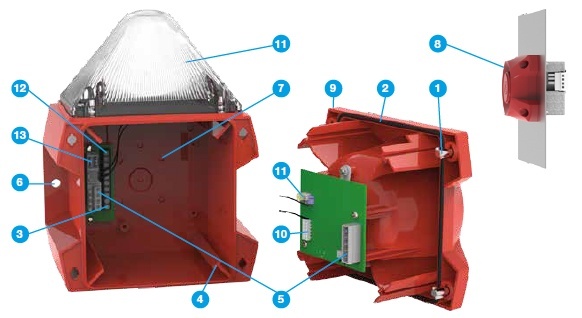 Click here to learn more about Signaling Technology and Solutions! Pfannenberg's design excellence for its Signaling Solutions is internationally recognized and has been awarded the prestigious Red Dot Award in 2013 for PATROL and in 2015 for PYRA-MA. Still not convinced? Click here to Watch our Signaling "Crash Test" videos!